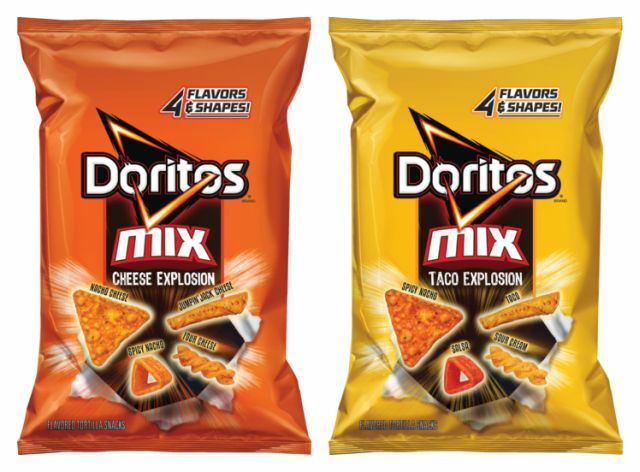 If Doritos are your favorite chips, you'll be happy to know you get get them in a variety of shapes and flavors all in one bag now that Frito-Lay has launched new Doritos Mix. 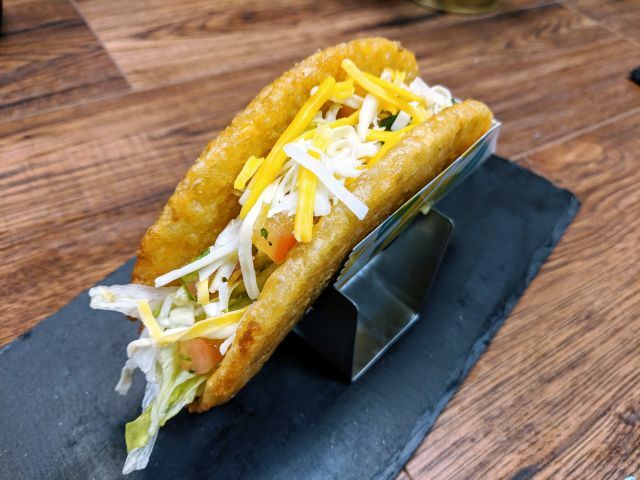 The new chip mix comes in two flavors: Cheese Explosion and Taco Explosion. Each features four different flavors and shapes of Doritos tortilla chips. 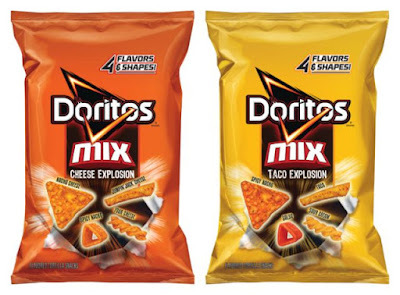 The Cheese Explosion bag includes: Nacho Cheese, Four Cheese, Jumpin' Jack Cheese, and Spicy Nacho; while The Taco Explosion mix includes: Spicy Nacho, Sour Cream, Taco, and Salsa. Both varieties feature four different shapes: the signature triangle, Dinamita rolled tortilla, twist, and an open triangle. You can find Doritos Mix in 3-oz bags with a suggested retail price of $1.49 and 9.5-oz bags with a suggested retail price of $4.29.